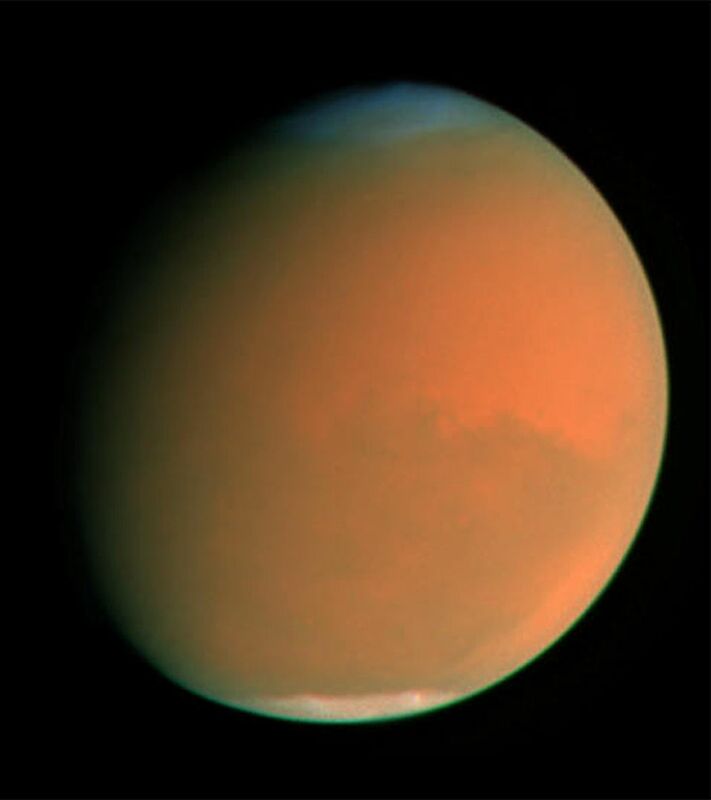 Mars Global Surveyor (MGS) and Hubble Space Telescope, are giving amazed astronomers scientists a ringside seat to the biggest global dust storm seen on Mars in several decades. The Martian dust storm, larger by far than any seen on Earth, has raised a cloud of dust that has engulfed the entire planet for the past three months. 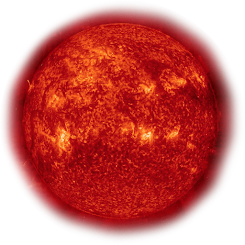 As the Sun warms the airborne dust the upper atmospheric temperature has been raised by about 80 degrees Fahrenheit. This abrupt onset of global warming in Mars' thin atmosphere is happening at the same time as the planet's surface has chilled precipitously under the constant dust shroud. "This is an opportunity of a lifetime," said Hubble observer James Bell of Cornell University in Ithaca, NY. "We have a phenomenal, unprecedented view from these two spacecraft." "The beauty of Mars Global Surveyor is that we have almost two Martian years of continuous coverage and this is the first time during the mission that we have seen such a storm," added Richard Zurek of the Jet Propulsion Laboratory in Pasadena, CA. This storm is being closely watched by the Mars Odyssey spacecraft, which is heading toward a rendezvous with the Red Planet later this month. The Odyssey team plans to "toe-dip" its way into the Martian atmosphere, gradually deepening its pass through the atmosphere until the desired drag levels are found. A warm atmosphere "puffs up," creating more drag on the spacecraft. The Thermal Emission Spectrometer on the Global Surveyor has been tracking the blooming dust storm by measuring temperature changes that trace the amount and location of dust in the atmosphere. Both Hubble and MGS caught the storm erupting in late June, which was unusually early in the spring of the Martian Northern Hemisphere compared to previous large storms. Hubble doesn't have continuous Mars coverage, but does show the whole planet in a single snapshot and shows the full range of dust activity from sunrise to sunset. Planetary scientists photograph the entire planet every day using the Global Surveyor's Mars Orbiter Camera. This has allowed them to pinpoint the actual location of places where dust was being raised, and see it migrate and interact with other Martian weather phenomena and surface topography. This has also provided them an unprecedented, detailed look at how storms start and "blossom" across the orange, arid planet. "What we have learned is that this is not a single, continuing storm, but rather a planet-wide series of events that were triggered in and around the Hellas Basin," said Mike Malin of Malin Space Science Systems, Inc., San Diego, lead investigator on the camera. "What began as a local event stimulated separate storms many thousands of kilometers away. We saw the effects propagate very rapidly across the equator, something quite unheard of in previous experience — and move with the Southern Hemisphere jet stream to the east." "By the time the first tendrils of dust injected into the stratosphere by the initial events circumnavigated the Southern Hemisphere, which took about a week, separate storms were raging in three main centers. The most intriguing observation is that the regional storm in Claritas/Syria has been active every day since the end of the first week of July," said Malin. After three months, the storm is beginning to wane. The planet's shrouded surface has cooled, and this allowed the winds to die down and the fine dust to begin settling. However, Mars is approaching the closest point of its orbit to the Sun. Once the atmosphere begins to clear, the return of unfiltered solar radiation may trigger additional high winds and kick up the dust all over again. 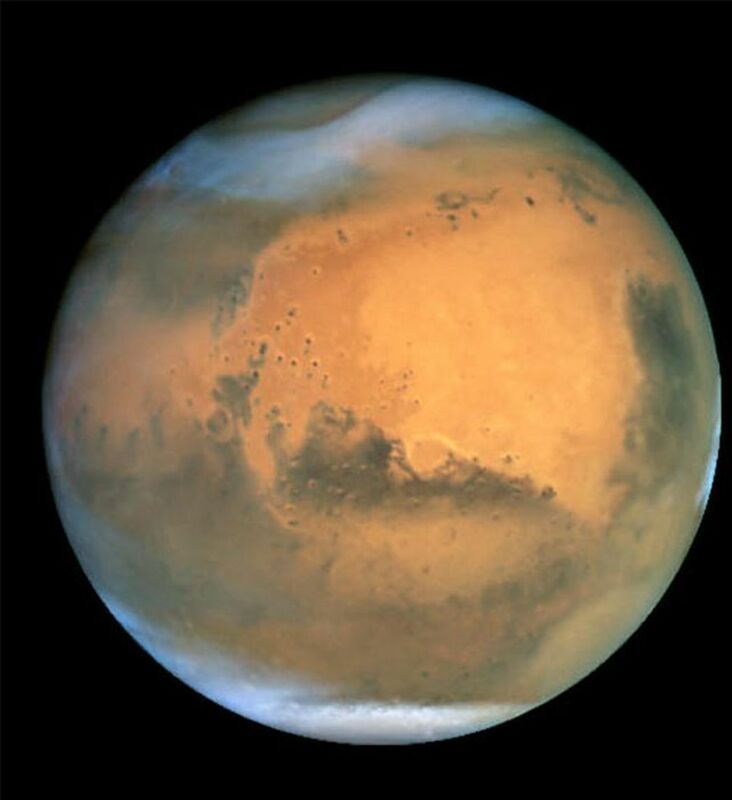 This one-two punch has been seen in previous Mars storms for centuries. "Understanding global dust storms, such as that which we have witnessed this year, is a vital part of the science goals of the Mars Exploration Program," said James Garvin, NASA's lead scientist for Mars exploration, NASA Headquarters, Washington. "Such extreme climate events could potentially provide clues to how climate changes operate on Mars, now and in the past, and provide linkages to the record of sediments on the planet."